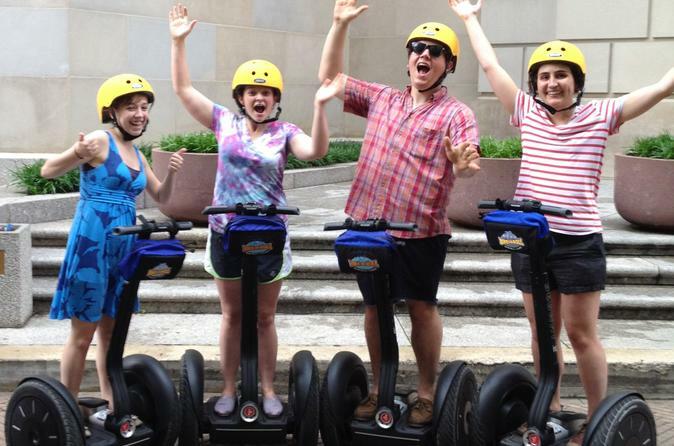 This Segway tour provides an overview of the National Mall from the Capitol Building to the Lincoln Memorial. On this tour you will learn about the Smithsonian Institution, enjoy a ride down Pennsylvania Avenue and visit some of DC's most iconic Monuments and Memorials. Great for your first day in the city or if you have limited time to explore. Riders will be safely trained to operate the Segway prior to departing on tour. Must be 16 years old to participate. (Min. weight 100lbs, max 260lbs).